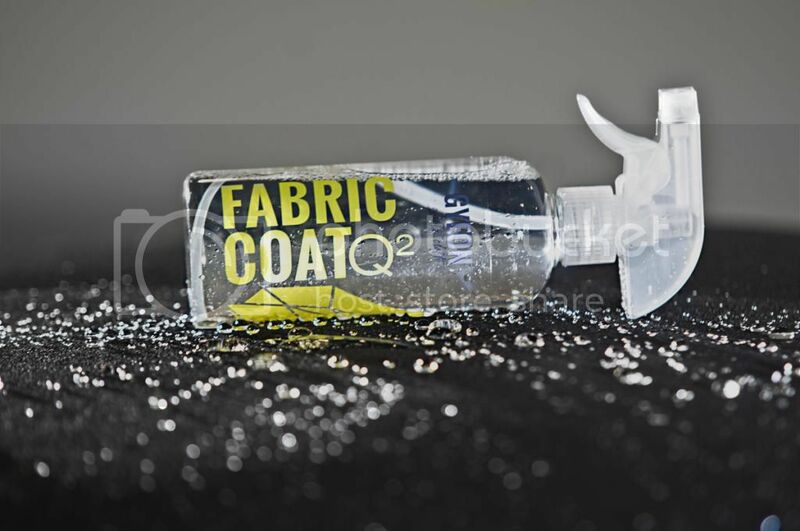 Q² FabricCoat is an outstanding, highly hydrophobic and durable textile protectant. It is one of the world’s very first products containing SiO2. Not only does it protect the surface, but penetrates the fibers of the material, creating very robust barrier against water and dirt. It protects fabrics against UV rays and prevents color loss. It is not the cheapest FabricCoat you will find on the market, but really top-notch in its action and durability. We have used the best and most expensive ingredients to create real, durable protection for fabrics. Once you use it you will realize the real difference between Q² FabricCoat and other coatings on the market! - Q² FabricCoat creates a strong coat, which protects fabrics not only against dirt, but most of all UV rays. It helps to prevent textiles from fading and losing its original color tone, which may occur due to long-term exposure of UV rays in direct sunlight or strong chemicals. - Q² FabricCoat helps to maintain all textiles in your car in perfect shape. It has strong hydrophobic properties, that ensure ease of dirt removal. Protected textiles don't absorb as much dirt as bare ones. 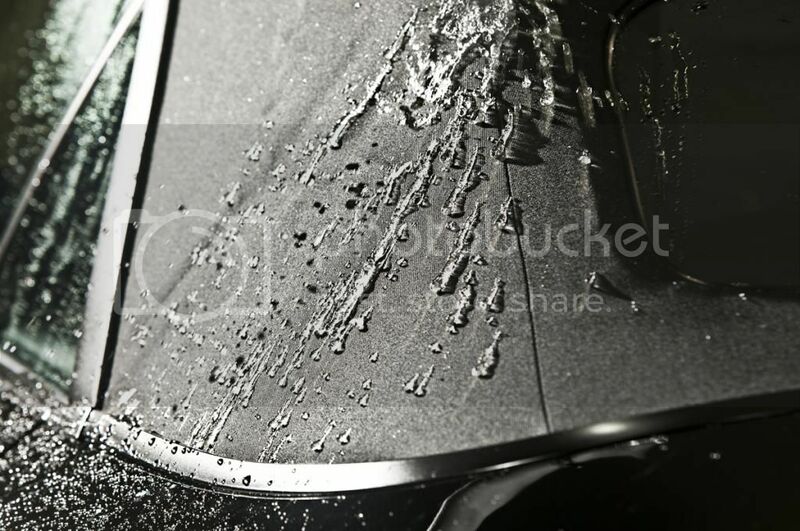 Even in case of fabric convertible tops, when protected with Q2 FabricCoat, a strong high pressure rinse once a month can be sufficient to keep the fabric clean. - Q² FabricCoat makes it easy to keep the textiles clean. Once applied, the hydrophobic effect along with overall fabric protection will sustain for a long time. Therefore you do not need to refresh the coating with every single wash – simply rinse the surface with a pressure washer or wash it gently with a pH-neutral shampoo like Q²M Bathe and let it dry. - As little as 80ml of Q² FabricCoat are enough to protect 1m² of fabric and create a long lasting barrier against water, dirt and UV-rays. Consumption may vary on different surfaces and types of fabric. Whats the durability on interior fabric parts like seats?. We focused on durability to be honest. Our test show minimum 6months. Very hard to judge, to many criterias. We designed Q2 FabricCoat to produce top durability. It is released and on the way to many distributors. If you want to try, you can make it with 120ml... it is enough to protect whole fabric roof. I guarantee this product is exceptional in terms of durability, so you will love it. Gyeon Q2 Fabric Coat now in stock from £15 for the 120ml spray bottle.